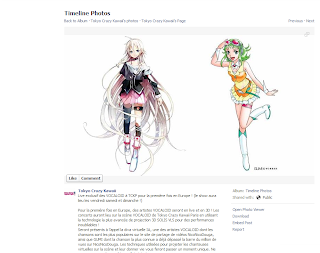 Tokyo Crazy Kawaii Paris, a Japanese-fun filled event will be hosting IA's (and also GUMI's) 3D live concert in France. 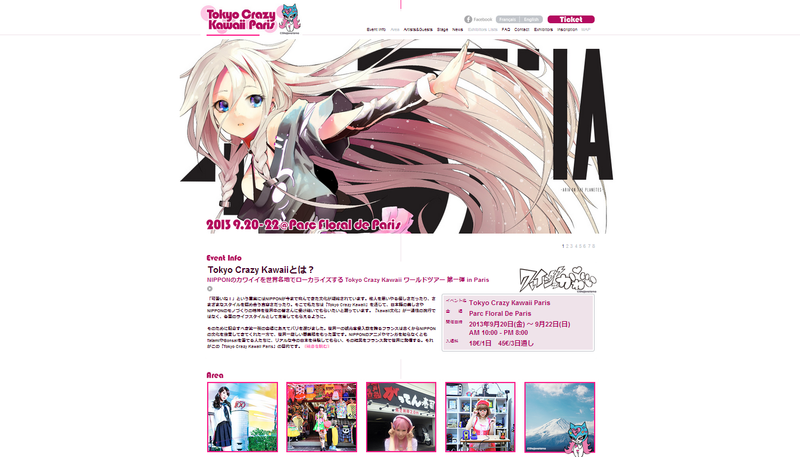 Tokyo Crazy Kawaii Paris, an event in France that aims to introduce Japanese culture to the natives of France, will be hosting an IA 3D live concert. The event will be held on the 20th - 22nd of September. There are several artists gracing the event such as Anna Tsuchiya, Shonen Knife, Moumoon and many more. Not to mention that kz (Livetune) is also a guest for the event. 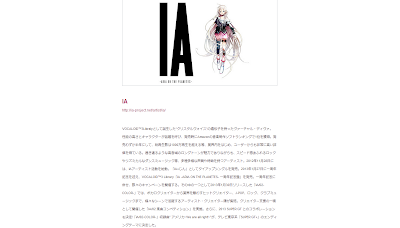 IA's profile from the official website. 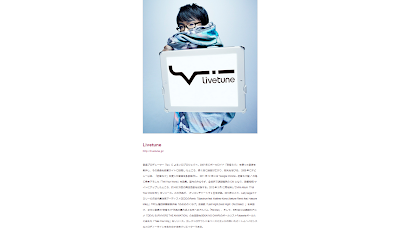 kz (Livetune) profile from the official website. It has also been announced on Facebook that GUMI will be making an appearance during the concert too alongside with IA. On the special VOCALOID stage of “Tokyo Crazy Kawaii Paris”, 3D vocaloid performance will be held for the first time in Europe, with the brand-new 3D projection system, “SORIS VLS”. One of the most popular vocaloid artists in Nico Nico Douga, IA, who has provided various songs along with beautiful voice and unique characteristic will be the 1st performer on this 3D vocaloid stage. Another vocaloid hit-maker, GUMI will also perform in the special VOCALOID stage. GUMI is best known for her hit song that got over 1 million views in NicoNicoDouga. The latest 3D projection system will make the virtual characters come to life and offer the one and only experience. It will be the very 1st concert introducing this futuristic 3D projection system in Europe. Don’t miss their over-the-top performance! 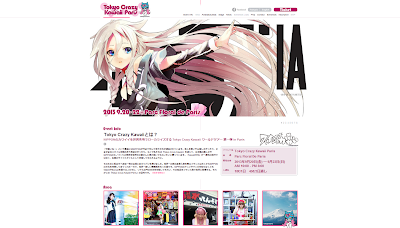 In addition, IA’s official store will be open at the event. The visitors can try Taito Corporation’s latest groove game called “GROOVE COASTR”, which received a number of awards as iPhone/iPad game. Also, there will be some collaborated goods with Arisa Ueno, (model and the designer of “FIG & VIPER”, stores location in Shibuya 109, La Foret Harajuku, and Kansai area), indie designers’ T-shirts, original products, CDs, and some special events at the official store. Started as VOCALOID™3 Library with the gene of crystal voice, a virtual diva, IA has been increasingly popular along with her high quality performance and unique characters. Within 6 months of her release, her songs hit the total of more than10 million views and received favorable ratings. IA started her musical career in November 2012 and released a tie-up single by naming the duo, “IA × Jin“. In January 2013, as the 1st anniversary album, VOCALOID™3 Library ”IA -ARIA ON THE PLANETES” went on the market. To celebrate the 1st anniversary, she has waged various campaigns. For “IA/02-COLOR-“, numerous hit creators of J-pop, rock, and club music gathered and collaborated with IA." According to Hatsune MikuMiku, the concert will be using SORIS VLS technology to run the concert. This is definitely something to look forward to!